"Ye-Ha! is the most fantastic and energetic play in the whole of the wild, wild west! It is an action-packed musical with astonishing jokes and catchy songs. Full of witty one-liners to make the parents snigger, interesting characters and a thrilling story-line, this amazing play is great to do as an end of Y6 production because everyone can take part: there is a range of speaking parts from 3-100 lines as well as characters with no speaking at all for the more reserved students. Scenery and props were easy to make and the staff only had to change the background twice. The costumes, which are easy to source, really help to liven up the performance. We would recommend purchasing the downloads of the songs because our CD kept skipping on the final song! "If you're good, if you're bad, if you're ugly or mad, be our guest," and buy this play for your school! " "Me and my year group have just started rehearsing for the play. Everyone loves their parts now. I got Verity Vandergelder and she's my favourite character now. This excellent play will fit any school. It's dramatic, humorous and a lovely tale from the wild west. we've written in some extra parts like Violet Vandergelder and Saloon girl Georgie. ''Ye-ha'' is the best play i've ever been in." 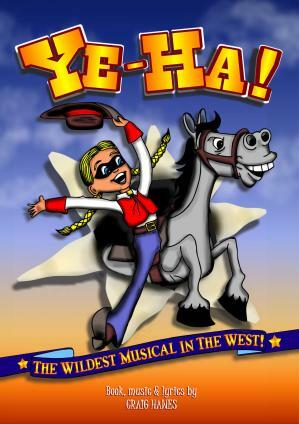 "Our school has only just started practising ye-ha and already we all love it !!!!!!!!!!!! I am very exited about performing it and my favourite song is the Stetson Stomp . I recommend that other schools/clubs should do it to . Me and my classmates have even come up with handshakes for it. I can easily say it's my favourite production yet!" "One of the best Year 6 plays i've been involved with, the children loved the songs and the dances and the parents loved the jokes and storyline. Would definitely recommend it"
"Our Yr 5s and 6s have just performed Ye-Ha! as their end of year show. I have been teaching for over 20 years, and this certainly ranks as one of the most successful and enjoyable performances I've been involved in. The songs are catchy and easy to learn and the script full of one liners which amused children and adults alike. There are plenty of parts to involve reluctant boys - the McNut gang with their undies were very sought after parts." "Best year 6 performance i have ever seen." "Me and my classmates haven't performed the final play yet, but we are rehearsing and it's getting so close to showtime. Brilliant scenes, fun to rehearse, great catchy songs, fun costumes, side-slitting script- why, this play has it all! I really recommend this play because it is enjoyable for children, the audience, and also the teachers that help us to make the play happen!" "Year 5 and 6 performed Ye-ha at the end of this academic year and it was brilliant. The script is witty and intelligent, appealing to the adults and children alike. 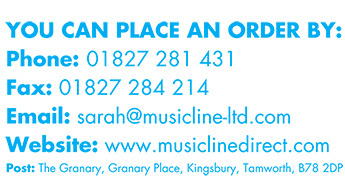 The music is toe-tappingly good and very easily learnt - producing some of the best singing the year groups have ever achieved. All in all a hugely positive experience for all of us." "KS2 performed this for their end of year show and it went down a storm. We had great fun in learning to line dance for the finale, and the puns and one liners were appreciated by the audience. Our more reluctant children were keen to join in." ""Ye Ha" is a great play to do in Year 5. We have been practising and we are getting very good at the songs because they are easy to learn. We are going to start the drama soon. It is going to be the best school production I've ever been in."